BEEK WEEK HAS CONCLUDED. BIGGER AND BETTER THAN LAST YEAR'S SMASH HIT. 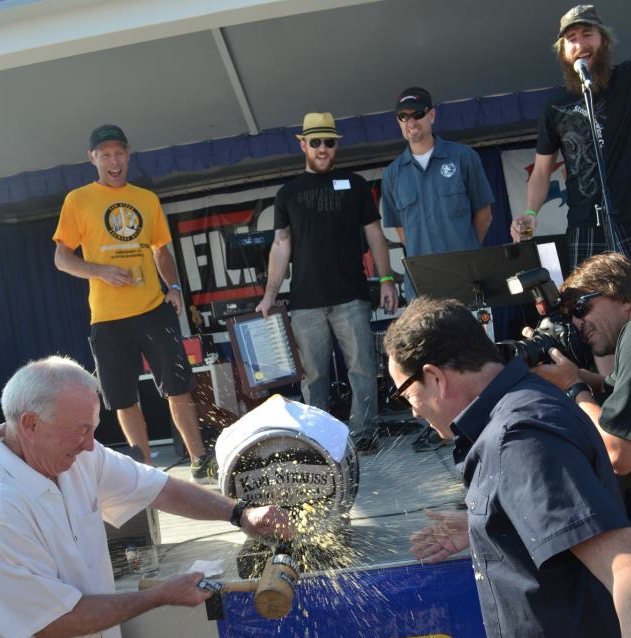 If your city is considering a beer event check the link immediately below. 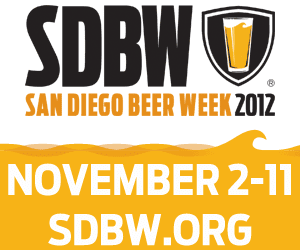 GUEST BLOG: By Mike Shess, Publisher, West Coaster Magazine--Happy San Diego Beer Week! 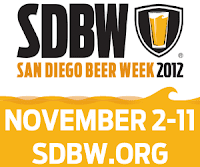 At the beginning of Beer Week (Nov. 2) there were 363 events on San Diego Beer Week’s roster (SDBW.org). The official closing event of SDBW. Unlimited beer and food from San Diego’s finest chefs and brewers paired together overlooking Torrey Pines Golf Course. If you are on the fence, take a look at the lineup, below. 1 Beer, 13 Ways – 5 oz pours of 13 different varieties of Ballast Point’s Victory at Sea Imperial Coffee Vanilla Porter will be served at Hamilton’s Tavern Sunday, November 4th starting at 10 a.m.
Get Educated – Last year the lab manager for local yeast manufacturer White Labs, Neva Parker, visited Sea Rocket Bistro for a “Flavors of Yeast” class, and it was so successful that she’s coming back again Saturday November 10th from 2-4 p.m. Her presentation will include four saisons brewed at White Labs with different yeast strains. First Sour, Available Once — Green Flash’s new sour, Flanders Drive, derives its name from the brewery’s cross street as well as its beer style (Flanders red ale). Bottles will only be available on Monday, November 5th at the special release party which is part of their 10 Years of Great Beers SDBW plans. Tougher Than It Looks – Think you can tell the difference between Stone IPA, AleSmith IPA, Mission IPA, Ballast Point Big Eye IPA, Societe Dandy IPA and Green Flash West Coast IPA? If you can, you’ll get a $100 gift certificate from Blind Lady Ale House. Hurry, though, this event ends tonight at 6 p.m.